Psalm 82:3 tells us to “Defend the poor and fatherless; do justice to the afflicted and needy.” As one of the four ministry platforms, SEAPC believes that parenting is vital. Children are the future leaders of their countries and SEAPC wants to give them the Christ-based nurturing and pathways to succeed that they need. Every day around the world children are facing child trafficking, abuse, slave labor, parentlessness, abandonment, neglect, and poverty. To break these barriers for children, SEAPC partners with like-minded local ministries to help provide parenting. Pastor James Lian Sai was called to ministry in 1983. After training at Bible college and preaching in northern Myanmar, the Lord gave him the vision to start a Bible school. 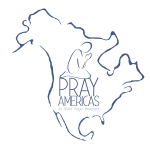 In 1989, Myanmar Acts Mission came into being. Myanmar Acts Mission incorporates a three-fold ministry: Acts Bible College, Church on the Rock and Charity Children’s Home. Acts Bible College allows students to receive degrees in preparation for ministry. Church on the Rock is planting churches in Myanmar: over 105 churches throughout all but 3 states of the country. Charity Children’s Home was started in Yangon in 1996 (under the name of Acts Children’s Home) because of Pastor James’ compassion towards hurting children. Pastor James and his team know that only the Gospel has the transforming power to change man and society. They show the children the love of God by providing for their physical needs and helping them to establish self-worth, respect, dignity, sanctity of life and positive thinking so that they can become future leaders. Education is an important part of the children’s home as they are determined to remove illiteracy from Myanmar. In 2010, the name was changed to Charity Children’s Home at the government’s request. In 2015, a second home location was opened in the city of Kalaymyo in Sagaing Division. Today, the children’s homes are under the direct administration of Thang Chung Nung and Tha Biak Dim (Pastor James’ daughter and son-in-law). New Hope for Orphans was founded by Pastor Sinai Phouek and Somalay Y. Pastor Sinai and Somalay are survivors of the time of the Khmer Rouge. They suffered much during that time, but both have wonderful testimonies of God’s grace and mercy. They met in Bible school and were married in 1995. In 1998, they founded Fellowship Word of Life Ministries, planting churches throughout the country. Pastor Sinai and Somalay have always had compassion for hurting children. In 1998, some children were brought to Fellowship Word of Life Church in Phnom Penh whose parents had unexpectedly died. New Hope for Orphans began with these 7 children. Now, there are 15 homes, providing for over 475 children. The goal is to ultimately have at least one children’s home in each of the 25 provinces of Cambodia; providing for a minimum of 1,000 children at any given time. New Hope for Orphans is changing the lives of needy children by providing for their physical and spiritual needs. Their vision is to build a new, young generation in Cambodia; to nurture the needy children through the Word of God in order for them to have a brighter future and become good citizens of Cambodia. This is exemplified in the head office staff of NHO as four of the seven staff members are young people who grew up within NHO. Mendies Haven began in 1967 when Tom & Elizabeth Mendies brought a 13th child into their home. They had 2 children of their own and had adopted 10 others. Their goal was to raise orphaned and abandoned children in an atmosphere of love and care based upon the principles and precepts of Jesus. After Tom’s death in 1988, Elizabeth continued to run the Haven until her passing in 2008. Since then, her son, Charles, and his wife, Susan, have been running the home. Over the years, many children have grown up at Mendies Haven. Most of the grown children are still living in Nepal, working in various businesses, but some have moved to other countries around the world. Some of them have started children’s homes, caring for other orphaned and abandoned children. The children who come to the home are typically 2 to 5 years old, have been brought by other people and the local authorities have verified the child’s situation and approved their move to the home. They live there until either their family can properly care for them or until they have graduated from school (high school, college or skill training) and have found a job to be able to support themselves. All children who come through are considered part of the family. Each year, on December 26, Mendies Haven hosts an open house for all former children and their families to come and celebrate Christmas together. Tibet, PRC is known for its high altitudes due to the Himalayan Mountains. In Nagqu Prefecture of Tibet, the altitude is 18,500 feet above sea level. The air is very cold and thin. Many infants in this prefecture get colds and pneumonia repeatedly. Many mothers are not able to get the necessary nutrition to give birth to healthy babies which can potentially lead to heart problems in addition to the breathing issues. Also, if breastfeeding is a problem, the children are given either fresh yak milk or barley mixed with yak milk as food. This leads to malnutrition for the baby. Touching Hearts Child Care started in June 2010 when a family approached Daniel Zhou and Gail Ding, asking for help for their 17-month-old daughter who was suffering from high altitude sickness. At that time, she only weighed 11 pounds. Daniel’s sister fostered her, and in late 2013, she was able to return to her family. News spread of a sick child being sent away and returning home very healthy and happy, and more families with sick children started to ask for help. By the end of 2016, four children were in Daniel and Gail’s care. To help care for more children, they acquired an apartment in Chengdu in March 2017 and hired three Christian nannies. They continue to receive requests to help children who are suffering with high altitude sickness. Children generally live at the home until they are five years old and their bodies are strong enough to handle higher altitudes. Bijay moved to Mendies Haven in Nepal in 2002 when he was 5 years old after his father, along with an aunt and uncle, died in a forest fire. His mother remarried and left him and two cousins with an uncle who was not able to fully provide for an extended family. Bijay has grown to be known as very responsible and gentlemanly, as well as funny. He plays the drums, and likes to watch movies. After finishing high school, he went to school to learn to be a chef. In May of 2017, he graduated from the school and obtained a job in Dubai. He is now in Dubai, working and being an example of Jesus to all who are near him. Join us on a short-term trip. All SEAPC mission teams go first and foremost for the purpose of prayer, leading people, and using their unique God-given abilities. We invite you to use whatever gifts God has given you to serve alongside SEAPC on a short-term mission team in the platform of parenting. $50/month provides a child with food, clothing, shelter, education, and Christ-centered nurturing.